Our engraving service provides diamond engraved brass plates, engraved aluminum plates, laser engraved plastic plates and stainless steel tags. 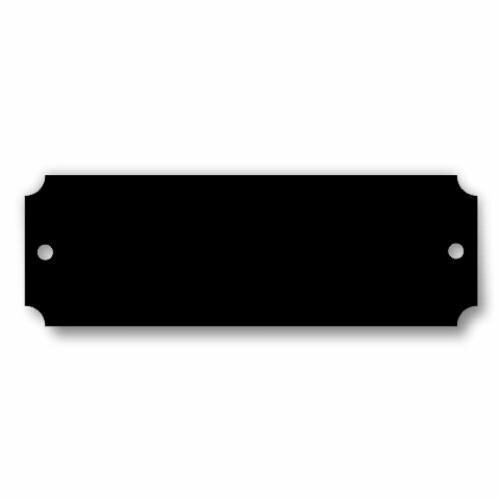 Also referred to as engraved plaques, name plates, legend plates or tags, they can be used for a wide variety of purposes from personalizing gifts to identifying machinery. Stainless Steel tags are laser engraved with a permanent black mark. A variety of black and colored engraved plates are laser engraved. Diaomnd engraved brass plates are often used to personalize gifts. Engraved plastic plates are avaiable is custom shapes and sizes. Plastic Plates are often used for name plates. Legend plates are often used by electricians and machine manufacturers. Free Engraving is included. 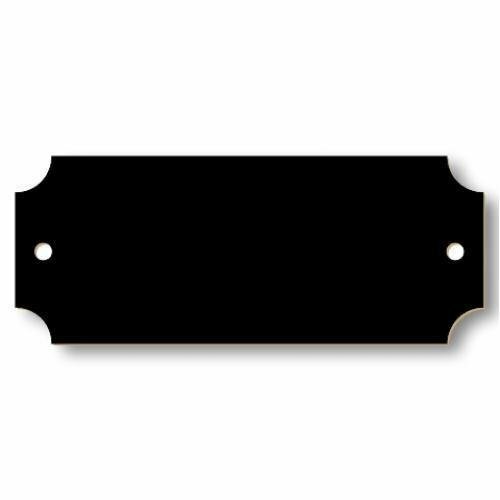 This Black Aluminum Perpetual Plate has a rectangular shape with concave corners and a hole on the left and right. This aluminum perpetual plate is diamond engraved creating silver etched lettering. 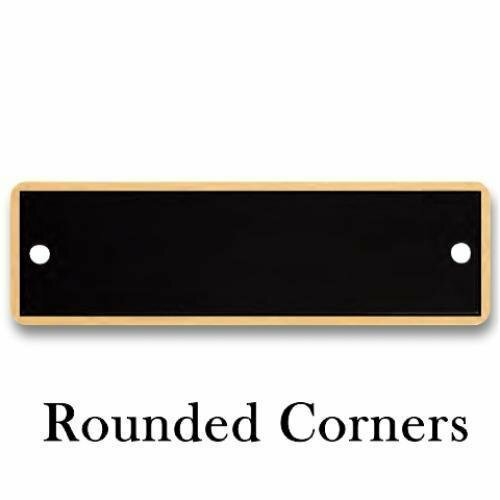 This Black Brass Plate has a slightly notched corners. 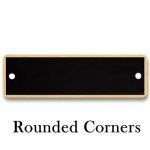 The Perpetual Plate has a rectangular shape with gentle concave corners and a hole on the left and right. This Perpetual Plate is made of black brass. The Perpetual Plate has a rectangular shape with concave corners and a hole on the left and right. This plate can be either Laser Engraved or Diamond Engraved. The Black Brass Pocket Plate is made of black brass with gold borders. 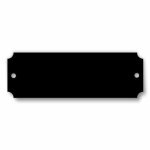 This Header or Perpetual Plate is a magnetic replacement plate for Recognition Plaques such as the CJ-APT200CBK. This Die Cut Perpetual Plate is made of black brass with gold borders. The Perpetual Plate has a rectangular shape with concave corners and a hole on the left and right.